When choosing tack for your horse, pay close attention to the bit. This is, arguably, the most important aspect of your riding equipment. The bit is the part of the bridle that provides close communication between horse and rider. It is the metal piece that goes into the horse’s mouth. The bit is attached to the headstall, and the reins are attached to the bit. Proper use of the reins signals your horse when you want to stop, turn or back up. There are literally hundreds of different kinds of bits, each designed for a specific purpose. In this article, we review some of the most common choices in bits. Read on to learn more. 3 Which Type Of Bit Should You Choose? 1. The “purchase” is the part of the bit found above the mouthpiece. This is the ring that holds the bit to the bridle and short section of metal beneath it. A short purchase provides quick reaction to your use of the reins. A longer purchase provides a slower reaction time. 2. The shank is the part of the bit found below the mouthpiece. Shank length determines the amount of pressure your signals apply to the horse’s mouth. A longer shanked bit, used correctly, can provide greater control. If abused, a bit with long shanks can be painful and cause a horse to panic. 3. The “cheek” is the term used to refer to the purchase and the shank together. 4. The mouthpiece is the part of the bit that is placed in the horse’s mouth. 1. Stainless steel is attractive, durable and rust-proof. 2. Copper promotes salivation and a soft mouth. 3. Sweet iron is meant to rust, and when it does it creates a sweet taste. This sort of mouthpiece is also called a “broken” mouthpiece. This type of bit has one joint in the middle of the mouthpiece. This causes the bit to apply pressure upwards and toward the front of the mouth. When you apply pressure to the reins, the bit folds into a “V” shape and applies pressure to the lips, tongue and the bars of the mouth. This type of mouthpiece is similar to a single jointed bit, but it folds into a “U” shape, rather than a “V” shape when pressure is applied. For this reason, this is a gentler bit. This is a solid mouthpiece with a gentle curve. It applies even pressure and provides more comfortable space for the tongue. This is a very flexible mouthpiece that is generally comfortable for the horse but can apply strong tongue pressure when engaged. This sort of bit is made of chain link and is quite severe and unnecessary. The least severe of these is made of rounded, linked chain. The most severe is made of chain that resembles a bicycle chain. Either way, the bit works by applying painful pressure to the corners of the mouth. This type of bit can cause severe injury and is not a good choice in any circumstance. Which Type Of Bit Should You Choose? For most types of riding a simple curb bit or a simple snaffle will suffice. A curb bit is a shanked bit that works through leverage. If you are going to use a shanked bit, you must have light hands because leverage produces more pressure when you engage the reins. Curb bits are available with many different sorts of mouthpieces. Snaffle bits do not have purchase or shanks. 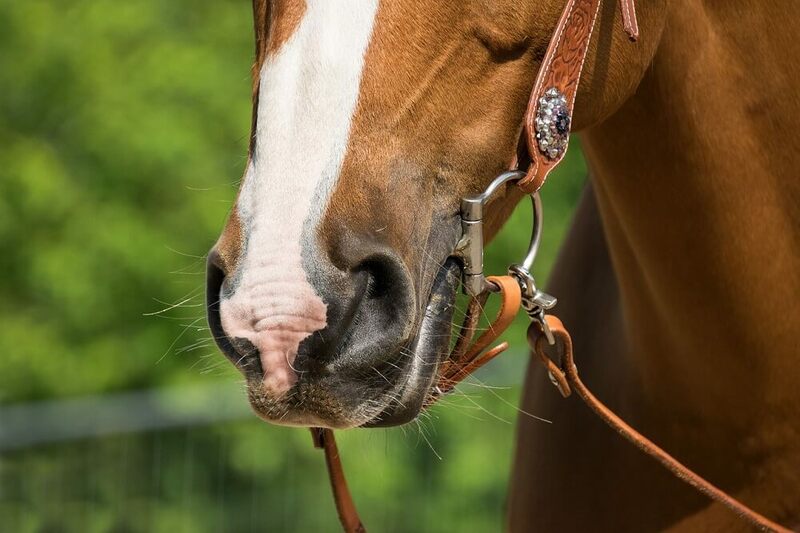 Instead, a snaffle bit is made up of a mouthpiece with “D” rings or “O” rings on the sides of your horse’s mouth. Another variation is the “Eggbutt” which is a more oval shaped ring. This type of bit does not have leverage power, so the amount of pressure you apply to the reins is the amount of pressure your horse will feel. This is “direct” pressure which your horse will feel instantly. The signals you can convey with it are instantaneous and not nuanced. 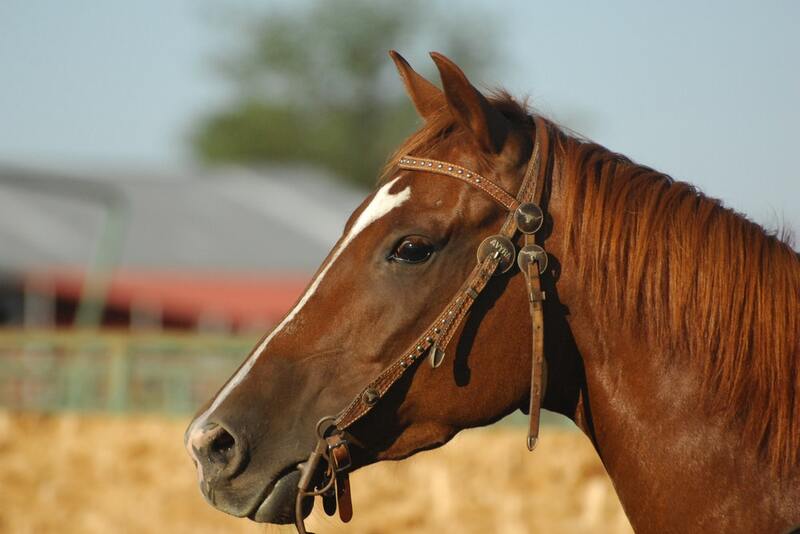 For this reason, the snaffle bit is mostly used for training. Snaffle bits typically have a jointed mouthpiece, but they may also come with a double-jointed or Mullen mouthpiece. Generally speaking, you should always start out with the gentlest bit (or bitless) option possible. When you first acquire a horse, it’s a good idea to stay with the type of bit he is used to, unless that bit seems to be causing a problem. 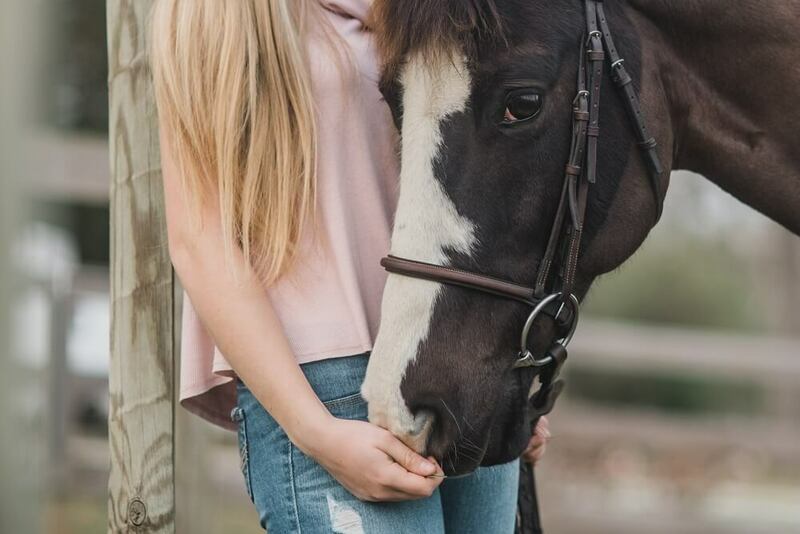 If you find that the gentlest option or the bit the horse is accustomed to do not render the results you want, try out a few different types of bits in a safe, enclosed area to see how your horse best responds.